This is the most important supplement that you can take when it comes to heart health. Omega 3’s help prevent heart attacks and strokes and are also associated with reduction in the incidence of Alzheimer’s, Parkinson’s and Age-related macular degeneration. The trick is to make sure you are taking the right kind and right amount of omega 3’s on a daily basis. The kind of omega 3 needed for heart health is the long-chained Omega 3’s known as EPA and DHA. DO NOT take any Omega 6. Omega 6’s cause inflammation. If your heart scan shows that you have coronary plaque, or a positive calcium score, a minimum of 2,000 mg of EPA+DHA per day is suggested. 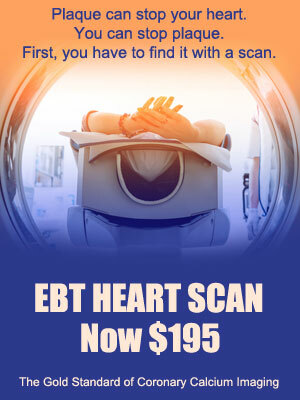 If your plaque is progressing as shown on a subsequent EBT heart scan, then a minimum of 4,000 mg of EPA+DHA per day is suggested. If you “burp” fish, you might want to try another brand as this is indicative of a less pure product. These brands are listed because they have the most EPH+DHA per capsule. This means they are more cost-effective. There are other brands available as well. Serving Size: 1 or 2 capsules per serving? Amount of EPA + DHA added together in 1 capsule. Nothing else matters. Avoid Omega 6’s! There is a national epidemic of vitamin D deficiency. As we age, our skin has greater difficulty in manufacturing vitamin D, even if there is sun exposure. Vitamin D3 is important to our immune systems and provides significant reductions in heart attacks and certain types of cancers. Blood Levels: Between 45-70. Check blood levels. Kind: Any brand that is in oil form, not tablets. Amount Usually between 2,000-5,000 IU per day. The ONLY kind of niacin that works for heart health is in the form of nicotinic acid. Do not use inositol or niacinamide. There has been media attention saying niacin does not work. This is untrue and based a one very flawed study. There are many studies showing the benefits of nicotinic acid and improving heart health. Amounts: 500-2,000 mg per day. Not everyone needs to be on niacin, however, the presence of significant heart disease is a good reason. The Flushing Issue: Flushing can occur when first taking the correct form of niacin. This lets you know the product is working. Flushing will stop as long as you continue to take niacin on a daiy basis. Following are some tips to help you get through the “building up tolerance” period. Build up slowly. Start with 1/2 pill until you not longer flush. Then add the other 1/2 in the mornings. Increase in small increments to desired amount. Take at night with aspirin and food. DO NOT miss a day! You might go back to “square one”. There are some current studies indicating the benefit of adding vitamin K2, in the form of 100 mgc. of MK7, to stabilize coronary calcium. Unless contraindicated, low dose aspirin is helpful in reducing the risk of a heart attack and ischemic stroke. It is also associated with a 35% reduction in the incidence of colon cancer and a 21% reduction in all cancers. Amount: 81 mg per day. Can be taken at night along with nicotinic acid (niacin) to help control “niacin flush”. New research has shown that 1200 mg. twice daily can stabilize and may reduce coronary plaque. Any brand of aged garlic extract (not garlic pills) is sufficient. The products and amounts discussed herein are those supported in respected medical journals and from solid clinical studies. Neither Dr. Blanchet, nor Front Range Preventive Imaging, endorse, sponsor, support, or distribute any specific brand or product. Any products mentioned are merely suggestions. There are others. Be sure to consult with your physician before starting any diet, exercise, medication, or supplement.